Floral Yellow Pages Online Flower Shops Directory is a useful online florists website tool designed to help the consumer search for a local flower shop in nearby cities. Our ultimate goal is to help our online visitors in finding good and reasonable local flower shops nearby using our online search engine tools. Online Flower Shops Directory by Floral Yellow Pages is an excellent place to start your local flower shop search when you in the need to buy a dear one the flowers she/he deserves. Please feel free to browse our Online Flower Directory at any time. 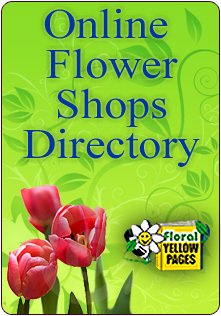 You can also use our local flower shop directory with floralyellowpages.com to find direct contact information to your local florists. 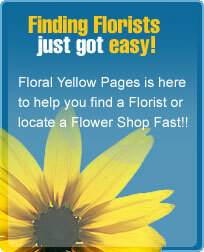 We hope you will find our website useful as we strive to make our Online Flower Shops Directory better every day.